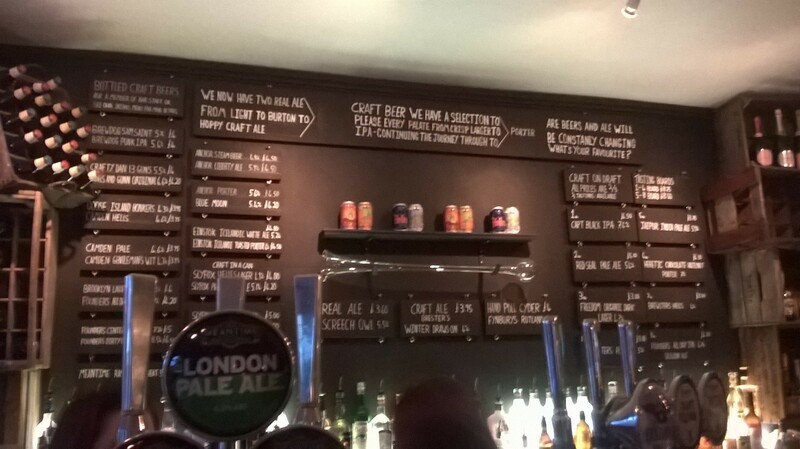 I was at the relaunch of The O Bar on Braunstone Gate last night – now re-engineered as a specialist craft beer bar. It’s an intriguing move in the context of Braunstone Gate, which spent the 90s as the hip end of town, but in the last decade has lost some of its distinctiveness. The O Bar, the late-night bar of the Orange Tree group, started to reassert itself last year by using its upstairs as a pop-up American barbecue restaurant The Smokehouse. It turned out such a success it was made a permanent fixture, but that left the downstairs bar “not quite right” according to director Gareth Smith (some might know him as Pugsy). With people travelling from beyond the West End for the food, an improved drinks offer made sense too. Gareth credits his dynamic general manager Phil for the brave decision to go the whole hog and chuck out not only the Carling, but the Becks and the other big brands and go fully on craft beers – for sale in thirds and two-thirds – and real ales. Along with this chef Liam from the Smokehouse upstairs is now providing a limited bar menu downstairs – pulled pork buns, kielbasa hotdogs loaded with chilli, onions and mustard, hot wings, ribs and nachos. So far it’s mainly been supplying the overflow from the restaurant but there’s scope to attract non-diners who nonetheless fancy a bite as they sip those fancy beers. 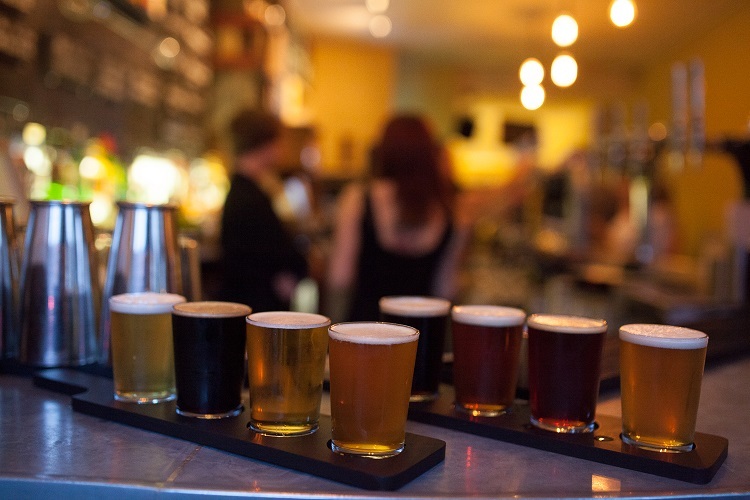 It’s a brave move because no doubt some will alienated by the unfamiliar beers and, you can’t avoid it, the considerably higher prices. What can’t be denied is there are some really fantastic beers on sale. The sublime Jaipur many people will know all about, but there’s many more – The Capt Ruhstaler Black IPA, clocking in at a hefty 7.6 per cent, looks like a stout but explodes with bright citrussy flavours on the palate. Founder’s All Day IPA is a more quaffable 4.7 per cent but still packs a heavyweight hop punch. Look out too for the burnt-toffee dark lager from Freedom and the Helles and pale ale from the award-winning Sara Barton of Brewster’s in Grantham.